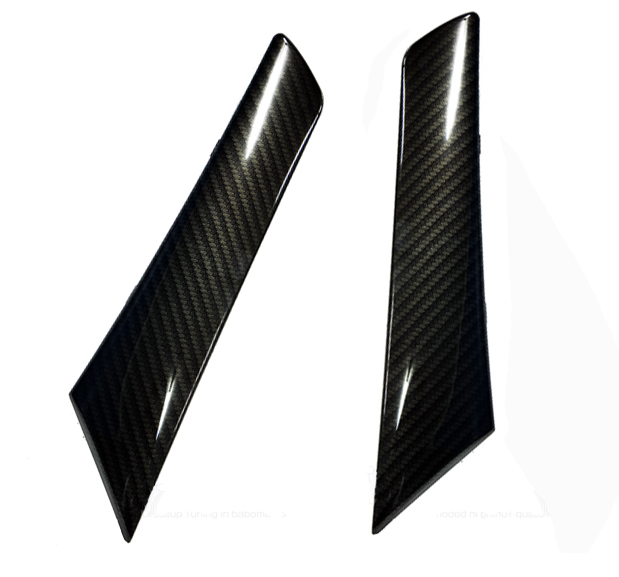 Unique carbon fiber-look door pulls for the Genesis Coupe are direct replacements for the OEM door pulls on the car. Installed with your OEM hardware - only takes a matter of minutes with no modification to the door at all! (Inner door panel needs to be removed for installation). PLEASE NOTE: This is a custom made item and normally takes 2-8 weeks to produce, depending on availability and workload. If you would like a more specific timeline please email sales@importshark.com.